I'm thinking of doing the unthinkable this evening and writing a poem. 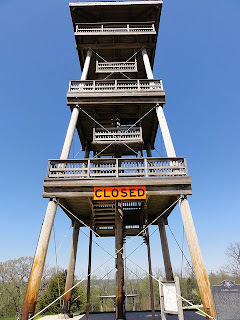 Or more correctly, transcribing a poem that came to me over the weekend when I was in Elizabeth, the highest point in Illinois. 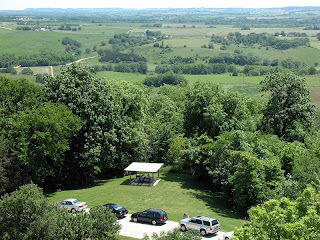 It brought back to mind that I had been there before, and stood at the highest point in Illinois, on Long Hollow Tower. Maybe it isn't even the highest point in Illinois, I'm not even sure anymore. 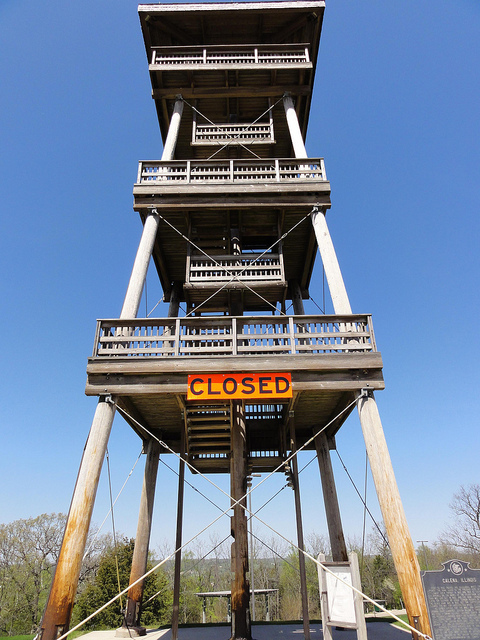 Due to liability issues, when I was there this Saturday the tower had been removed. Probably a good thing. I never heard any stories of anyone ever jumping from the tower, or being thrown off the tower, but I do have a poem about the topic. I'll see if I can write that poem tonight. 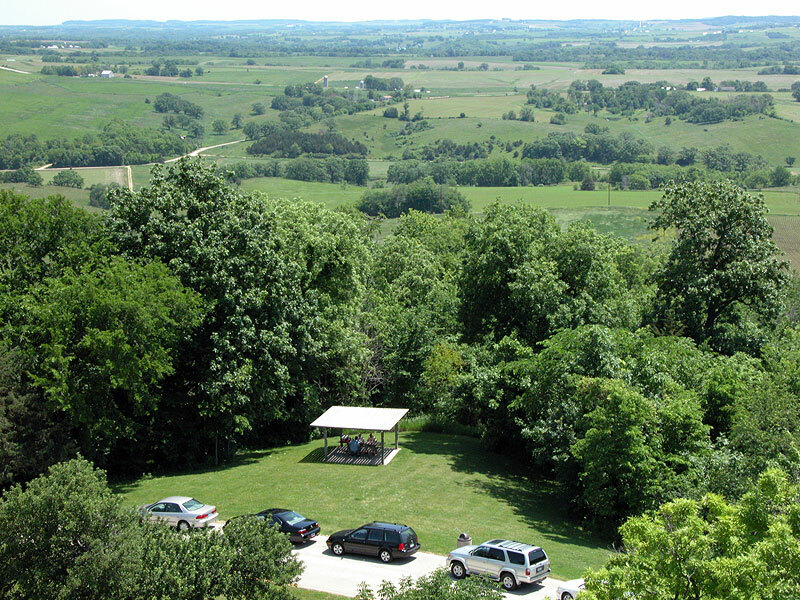 This is the view you might have seen standing on the Long Hollow Tower. It's strange because to get there you drive past mile after mile of hills and fields that look exactly like this, but when you see them from a high place they are simply breathtaking, even if you grew up surrounded by scenery that looks exactly like this. And I think I know why. Because one never sees Illinois, or Iowa for that matter, from any angle except flat. You can be there all your life and you see everything at floor level. Flat. It's all just flat. You know it's beautiful and feeds the world, but until you get above it and see it for what it really is you can lose perspective that this is the land that feeds the world. Anyway, I should probably go try to write that poem. I might not even try now, the world isn't asking for it. Then we ate at Denny's. Had torn the tower down.